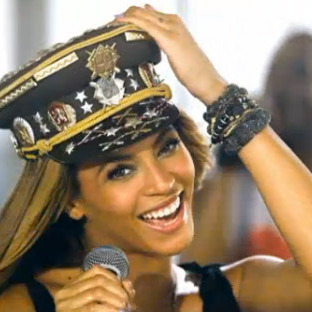 Le Mahogany Fashionista: Love On Top by Beyonce...hearts, hearts, hearts. Love On Top by Beyonce...hearts, hearts, hearts. New York City Penthouse Background. 6 Microphone stands. 5 Guys and Beyonce in a Black Leotard. Medal-Adorned Military Cap. With New Edition Dance Moves.